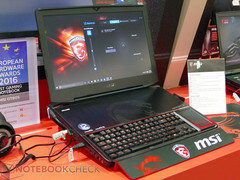 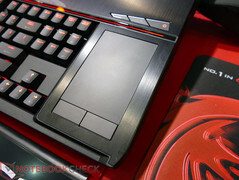 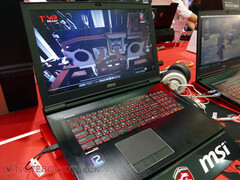 MSI updates its lineup of gaming notebooks and announces three new models at their local expo in Taipei. The wait for Nvidia's next GPU generation has begun. 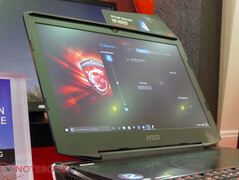 The GT73(S) and the GT83 are the successors to the GT72(S) and GT80(S) notebooks. 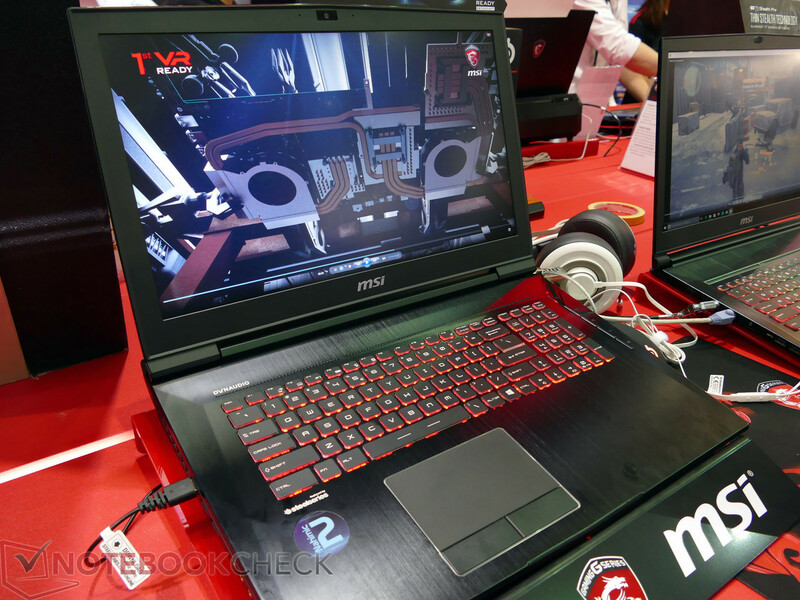 Both gaming notebooks will be equipped with modern Intel Core i7 quad-core CPUs as well as next generation GPUs from Nvidia. 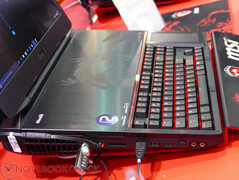 The laptops will also provide multiple storage slots and can be ordered with SSD-RAID configurations. 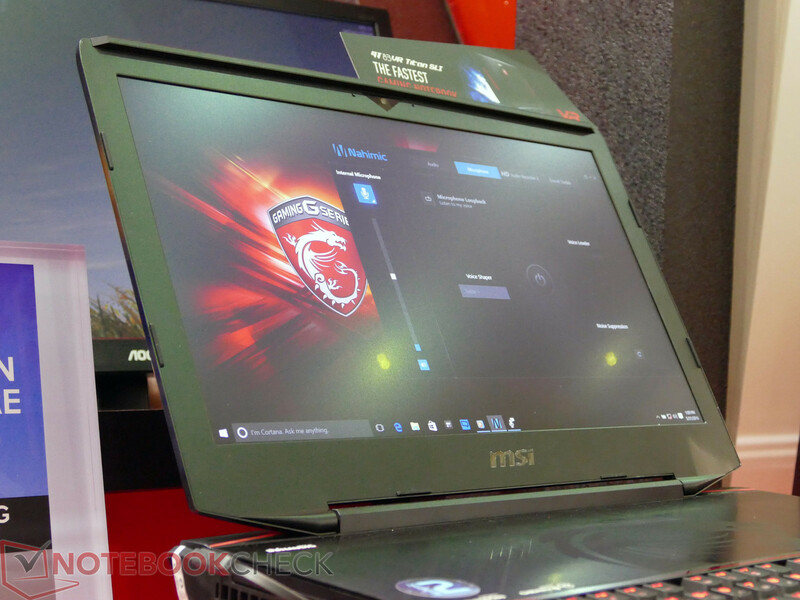 The new GT73S wants to follow the big footsteps of the MSI GT72S, which has been at the top of our gaming charts for around one and a half year. 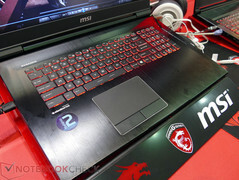 MSI just slightly updates the chassis and uses an aluminium cover for the base unit, which creates a simpler look. 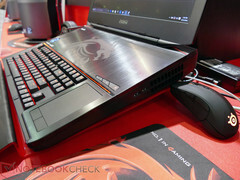 The port variety is also different. 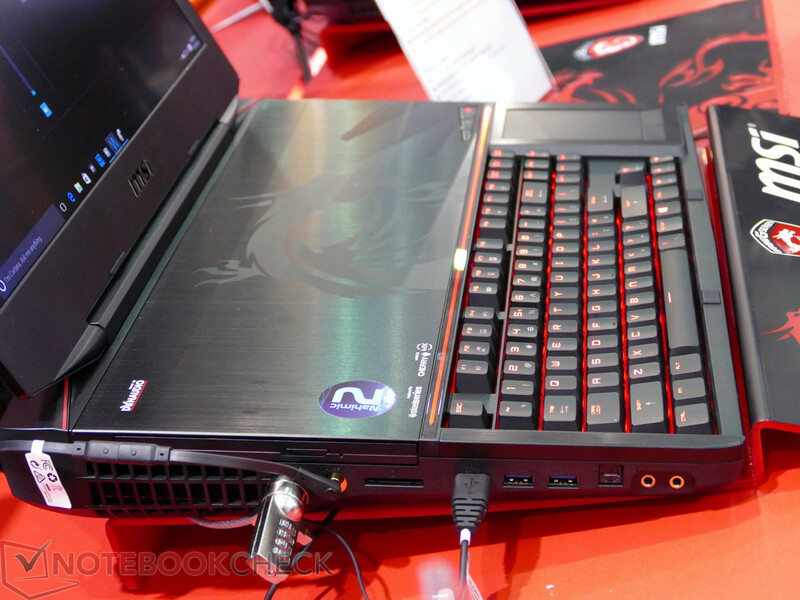 The large fan openings at the back, which are familiar from the GT72S, are now complemented by additional openings at the back of the sides. 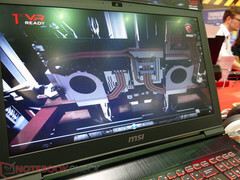 This suggest additional cooling performance, so the MSI GT73S can handle the next generation GPUs from Nvidia. Based on the information about the upcoming GPUs so far, the GT73S could be equipped with the GTX 1070 (successor to the GTX 980M), but probably even with the GTX 1080 as successor to the GTX 980 (without M). 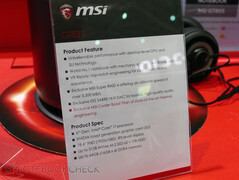 Interesting: MSI also lists SLI systems in the spec sheet. We will have to wait and see if we get a dual GTX 1070 or even a dual GTX 1080. 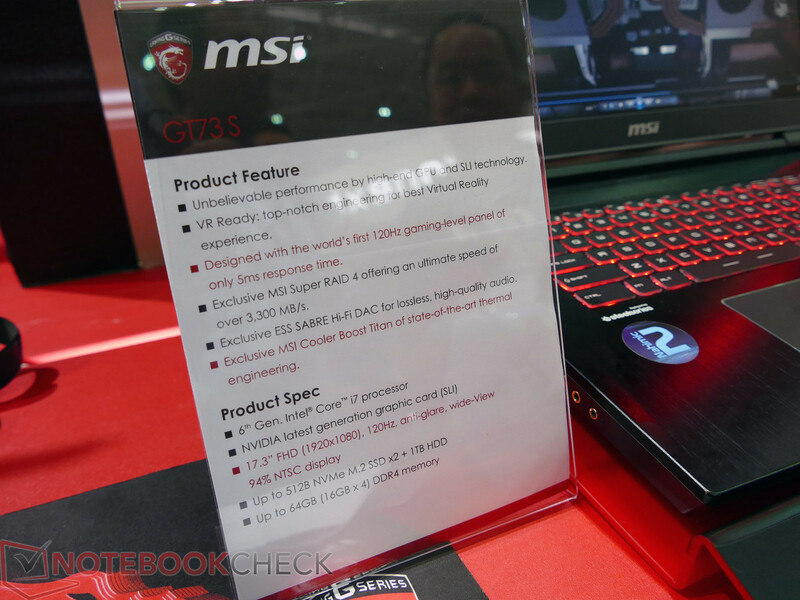 The GT83S does not make any compromises in respect of the performance. Equipped with a huge 18.4-inch display (FHD, IPS) and a bulky case (more than 5 kg for the GT80S and a height of 50 millimeters), the monster offers plenty of space for the best high-end hardware. 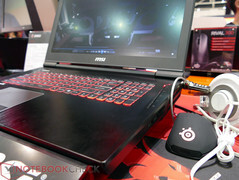 If you look at the predecessor, which was available with overclockable Intel quad-core CPUs and two GTX 980 GPUs (no M!) in an SLI configuration, the new GT83S should not be any slower. We guess it will be Nvidia's flagship GTX 1080 in an SLI configuration. 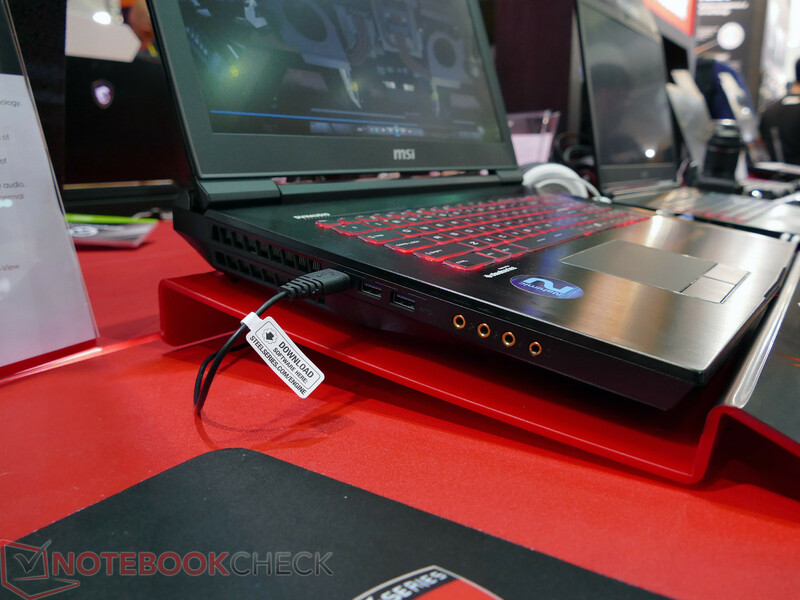 This would make the GT83S one of the most powerful notebooks in the gaming segment. NVMe-SSD RAID and up to 64 GB are almost ancillary.